Instagram users, today is your day. Version 3.0 has been released for Android, bringing with it plenty of new features that users have been waiting for and one that is completely new. The biggest addition in the update is called Photo Map. If you geo-tag your photos, you can browse through your photos on a map, showing where the pictures were taken. It’s a neat new way of browsing the past especially since you can also see other’s maps too. The other new feature that we’ve been dying for is infinite scrolling. No more “Load More” buttons at the bottom of the screen. Simply keep on scrolling. You can go pick up the newest update in Google Play now. 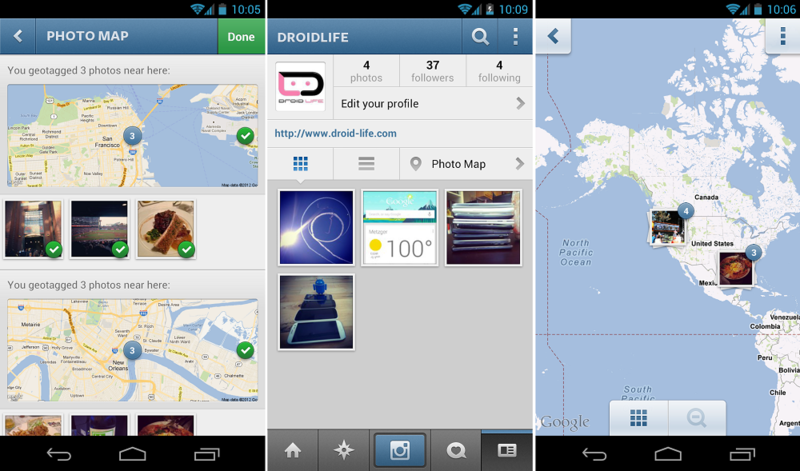 And while you’re at it, you should go ahead and follow @droidlife. We’ll be posting plenty of Android fun stuff!